How quiet it is on Saturday before Easter. How sad it is. How despairing it must have been for those who had seen their teacher, their friend, and their hope die right before them. All of creation held its breath to see what would happen next. All of heaven peered toward earth to see how we would respond. And God didn’t move. Not one word; not even a sign. Have you ever been there? You had great expectations that God was up to something big, something life changing, and then, nothing. Have you ever put all of your hopes in a person or in yourself, only to see them come crashing down before you? If so, you know how the disciples must have felt. They ran away scared, because that’s what we do when we can’t control a situation or think there’s no way it will end well. We run and hide. They couldn’t believe it. Their Master was dead. He was really dead. It was all over. No hope, nowhere to turn, no plans. On Saturday all they could do was run for their lives and hide out, hoping no one would find them. Have you been there? Maybe right now. Do you ever think God is silent? Do you ever pray thinking He’s not even listening? Let Easter Saturday serve as a lesson for every day of the year. God may seem to be silent, but in reality, He’s about to bring about His greatest work. If you ever wonder if He’s at work on your behalf, ponder the difference between Saturday and Sunday. Remember, God may seem slow, but He’s never late. He’s always right on time. Pray: Lord, I confess I have not trusted You in Your silence. I want You to work in my time and in ways that don’t require a lot of waiting and wondering, a lot of pleading and desperation. I realize when You are silent You are still at work and I will see your work, perhaps your greatest work of all. And when You are silent, I can show my greatest faith. I choose to trust in You today. Many of you are aware that The Houston Chronicle has published an article called, “Abuse of Faith,” tracking many accounts of sexual abuse that have occurred in the Southern Baptist Convention over the past 20 years. It is both devastating and deeply disturbing that this evil has gone on in our denomination, with more to be published in the Chronicle’s series. 1 Corinthians 12:26 says, “If one member suffers, all suffer together; if one member is honored, all rejoice together.” We are heart-broken and grieve with the victims and their families. There is no doubt that a season of mourning, repentance and prayer is needed in this unsettling time in Baptist life. 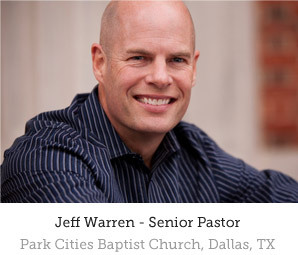 At Park Cities Baptist Church, we must be clear in our commitment to the church’s God-ordained responsibility to be a place of safety, hope and healing – while also remaining uncompromising in our own policies and procedures for screening those who work with our children. All ministers are thoroughly vetted through background checks, employment history review and other rigorous assessments. Our church has, for over 20 years through the highly-regarded Children First program, vetted all volunteers that serve with our children and students. Please also know that if you have questions or concerns, our staff is ready to help. Call the church office and we will be happy to talk with you. I am calling you and our entire church family to join me in prayer this Sunday at 8:30 am in the Fellowship Hall. We will bring prayers of repentance, ask God to use us to end this evil, and commit ourselves anew to be watchful and to seek purity in every area of our lives. God, have mercy on us. In December of 1955, Rosa Parks refused to give up her seat for a white person on the bus she took on her ride home from work. And she was arrested. Parks was charged with violating Montgomery’s segregated bus seating law. Soon afterwards, the Montgomery bus boycott was organized and the “Montgomery Improvement Association” (MIA) came into being. 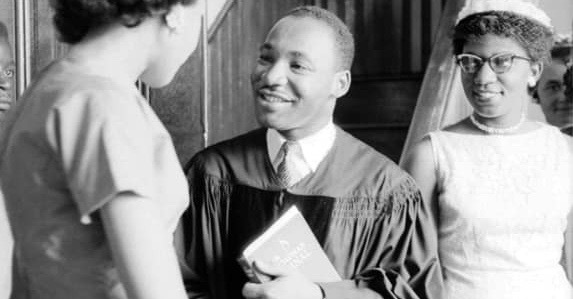 Reverend Martin Luther King, Jr., who was then a preacher at the Dexter Avenue Baptist Church in Montgomery, was asked to become the president of the MIA- because he had been the voice behind the boycott from the start. King accepted the presidency and soon became the focus of white racists opposed to equal rights for Afro-Americans and the civil rights movement in general. On Monday night, January 30, 1956, King was speaking at a meeting that had been organized to support the bus boycott- at Montgomery’s First Baptist Church- a full house, pews, stairways, walls, every seat in the house was taken. The bus boycott was a couple of months long now. He was tired. The long walks, the threat of violence always against him. When they decided on the boycott, he delivered a speech that was amazing. And for the next 6 weeks he would preach and the people would listen. On this night, 2,000 people had piled into the church. They had gathered because they all knew that they were challenging segregation and white supremacy. This was a moment for them to come together. Consider too, that Martin Luther King was 26 years old. While King was speaking, his wife and firstborn daughter, Yoki (Yolanda Denise), were home. Suddenly, a bomb, planted on the front porch of King’s residence, went off and blew out the windows of the house and causing significant damage to the porch of the family home. Pastor Ralph Abernathy kept receiving notes while sitting in the church and finally Mr. King asked what was going on and the pastor told him: “Your house has been bombed.” Not knowing if his family was okay, dead or alive, Dr. King stepped up with his normal public calm and asked the crowd to go home in peace, and he left out of side door and went home. But the people did not go home in peace (and who could blame them?). Instead, when King arrived he found a crowd of black brothers and sisters with sticks, knives, and guns in his yard – and a barricade of white policemen out front. This did not improve the crowd’s mood. A week earlier, Clyde Sellers, the Police Commissioner, publicly joined the White Citizen’s Council, which effectively made the Montgomery Police Department an arm of the Clan. I believe this incredible moment revealed, not only the character of this young 26-year-old pastor, but the power behind his world-changing work that was to come. He could have incited a riot. He could have justified violence against those who sought to kill his family. He could have refused to help the man who was joining forces to stop all that King stood against. He could have settled for a short-term win, while losing the long-term victory. He could have sought to appear “strong and courageous” by verbally taking down the chief and the authorities (and he clearly had the verbal skills to do), instead pointing to the One who was truly in authority. He could have sent the people home to fight another day, instead of teaching them how the battle would be won in the days ahead. His response serves as a model for us today. True strength is seen in what might look like weakness. True leadership is found in what might look like abdication. True courage is revealed in what might look like cowardice. True victory is attained in what might look like surrender. True love is displayed in what might look like foolishness. Dr. King taught us that true change is found by following the paradoxical ways of Jesus. May we all continue to fight for Dr. King’s Dream to become a reality, as we leverage our influence to come against social injustice and racial inequality. We clearly don’t have the power within us to do what we desire to do. Something is working against us. With all that you may hope to do in 2019 (and will fail to do), I want you to focus on the main thing, the one thing that will actually change your life. You can set goals to lose weight, sleep more, accomplish vocational goals and relational aspirations, but none of these things will fundamentally change your life. Not really. Commit to focusing on a singular goal that will change you into the person you were created to be. In a general sense, we know that putting first things first helps put everything else in its place. Most of us know that prioritizing our lives is important, particularly if we want to live balanced lives. But Jesus never talked balance. Jesus talked about an all-out pursuit of one thing. He said: “But seek first the kingdom of God and His righteousness, and all these things will be added to you.” Matthew 6:33 If you don’t have one thing that you’re all about, you will be distracted by a million other things. And what constantly distracts you will eventually define you. You must realize the power of a singular focus in your life. Jesus said, “Abide in me, and I in you. As the branch cannot bear fruit by itself, unless it abides in the vine, neither can you, unless you abide in me.” John 15:4 Abiding in Him means that you are at home in Him. It means that you are at home in His love. He goes on to qualify His statement: “As the Father has loved me, so have I loved you. Abide in my love.” John 15:9 You must constantly remember His great love for you and His love must define you in all areas of life, in every pursuit, in every relationship, and in everything you do. The Christian life is the constant discipline of a Gospel remembrance. Which, by the way, is one of the most important reasons you attend church every Sunday. We’re prone to forget. The apostle Paul understood the concept of a singular pursuit when he wrote about his own goals for life. He said, “Not that I have already obtained all this, or have already arrived at my goal, but I press on to take hold of that for which Christ Jesus took hold of me. Brothers and sisters, I do not consider myself yet to have taken hold of it. But one thing I do: Forgetting what is behind and straining toward what is ahead, I press on toward the goal to win the prize for which God has called me heavenward in Christ Jesus.” Philippians 3:12-14 The one thing He pursued was Christ Himself. He wanted to abide in His love, to remain “in Him”. Remaining in the love of Christ is the singular goal of life and it drives all the others. So, how do we do this? How will you live all of 2019 focused on this singular goal? When Martha was telling Jesus to get her sister, Mary, to help her with all of her goals, Jesus told Martha, “you are worried and upset about many things, but few things are needed- or indeed only one. Mary has chosen what is better, and it will not be taken away from her.” Mary chose the one thing that was needed. She was sitting at the feet of Jesus, taking in His love for her. If we are to abide in His love then we must sit at His feet as well. How do you do that? The daily discipline of prayer and reading of Scripture are the primary practices for anyone who wants to abide in the love of Christ. This is highest goal of the disciple because all of life comes out of that one relationship. Imagine with me, a man sitting around a dinner table. His heart is overwhelmed with gratitude. He sits there surrounded by his children and extended family. With an unrestrained smile on his face he looks at each of his loved ones in the eyes. He has not been a part of a gathering like this in years. In fact, he’s not been near his wife or children for years. Imagine, as his wife lays the final plate of food on the table, she places her hand on his shoulder and asks if everyone would hold hands. Holding hands, that’s another thing he hasn’t done in years. He hasn’t even touched anyone in years. Imagine that he squeezes his wife’s soft and tender hand tightly. As he begins a prayer of thanksgiving, his emotion overwhelms him and tears of joy fill his eyes. His voice cracks, he pauses, and his loving wife finishes his prayer for him. No, this is not your normal family gathering, nor is it a Hallmark commercial or a Norman Rockwell painting. This is the story of a man whose life has been radically changed. He wasn’t off fighting a war and he hasn’t spent time in prison, at least not the kind of prison you might be thinking of. He had been locked up for years in a prison of a disease, resulting in isolation, injustice, and discrimination. I want us to push rewind and go back a few weeks or months and see why this man is so grateful that he cannot control his emotions. Let’s look at a man who’s like us, who encountered the One Man who could help him. Luke 17:11-19 tells his story. He was healed of leprosy by Jesus and though we don’t know about his life after he was healed, we can imagine. But to fully understand the power of this story and the radically different life that we’ve imagined after this encounter, we must first understand the life of isolation and utter despair this man lived as a leper in the first century. These ten were together for a reason. First of all, if they were to be with anyone at all, it would have to be with each other. Secondly, they share a common pain. Pain draws together unlikely companions- with a powerful bond (like Dallas Maverick’s or Rangers fans), or seriously, like a recovery group or cancer support or Grief-Share ministry. These men suffered from Hansen’s Disease, or H.D., its called in the medical community). This disease was incurable and would attack the nervous system- (not the central nervous system but the sensory nerves and especially the extremities- the hands, feet, and facial features. Often it would result in severe ulcer damage and the loss of fingers, toes, even hands and feet. Facial nerves were often destroyed leading to hideous deformation of the face. The nerve damage would cause paralysis and even attack the cranial nerves, leading to blindness. There was no mistaking someone with leprosy. And because it was a communicable disease, contracted through touch or even through the air, the person was forced by law to be separated from all others- some sources say at least 50 feet- can you imagine. They were even required to shout their coming: “Leper!” (I’m a threat to you, I’m not wanted! I’m an outcast!”). They were ostracized, outcasts, left to a degenerative state and a life of chronic pain. Worse than the disease was their separation from family, friends, and the faith community. Why did ONE come back to express thanks? Were they all grateful but only one expressed it? And can you be truly grateful without expressing it? Why are some people more grateful than others? 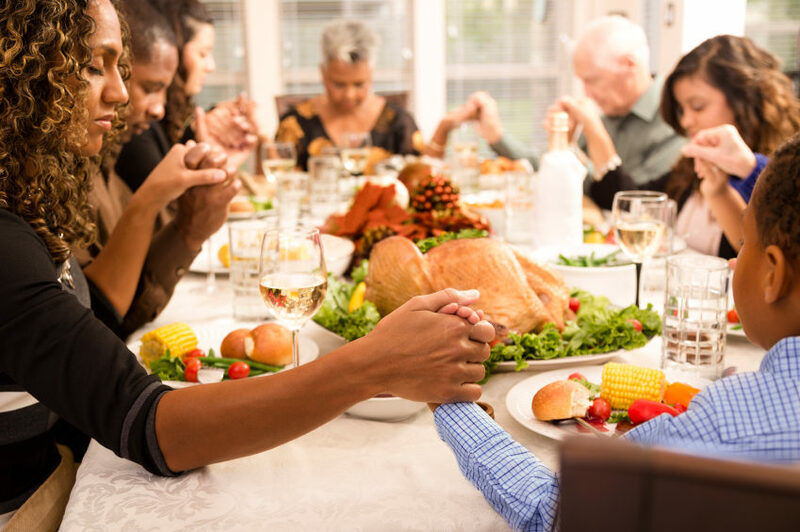 Is your life marked by thanksgiving? Acknowledge WHY you have what you have. Not by your own position. Exodus 33:14 – “The Lord replied, “My Presence will go with you, and I will give you rest.” Moses learned that it was only God’s presence that brought him success in life. Your position of power or wealth was not of your own doing. We see this in the book of Daniel where Nebuchadnezzar learned the hard way that “the Most High is sovereign over the kingdoms of men and gives them to anyone He wishes”- Every person of any position has been put there by God. If you have had any success vocationally or financially it’s only because of God. God is the one who gives and takes away. Whatever position you have has been given to you by God. Not by your own person. Zechariah 4:6 “Not by might nor by power, but by my Spirit’, says the Lord almighty.” Why do some people have a sense of entitlement- they think the world owes them something- they deserve what they want- when others are so humble and so grateful when they receive even something small? They see all gifts from God. Acknowledge HOW you have what you have. You are blessed. Proverbs 10:22 “The blessing of the Lord brings wealth and He adds no trouble to it.” Wealth brings great trouble if it comes through ungodly means. You are loved. Everything we have is an act of grace from God. Romans 5:8 – While we were sinners Christ died for us! 1 John 4:10 – it’s not that we loved God but that He first loved us. And verse 19 says we can now love others in the same way. You are responsible. 1 Corinthians 4:1-2– those given a trust must be found faithful. You are a steward of all that you have. How do I steward all that I have been given? Exodus 21:5-6– the bondservant who chooses to be a voluntary slave to the Master. I am responsible for the grace that I have received from God. “He who did not spare His own Son, but gave Him up for us all—how will He not also, along with Him, graciously give us all things?” Romans 8:32 All of God’s blessings begin with Jesus. It’s why Thanksgiving is clearly a believers’ holiday- like the atheist who suddenly felt profoundly grateful and realized he had no one to thank. We know who to thank. Our gratitude is ultimately focused on a Person. Gratitude is always centered on Christ. This leper’s story is our story- we are all diseased; we’re all lepers. We have a disease called sin that only Christ can cure. We don’t deserve his love. The Bible says that we deserve eternal separation from God. Thank Him for your salvation- and share it with others!